A singalong set - this is for the Easter theme. 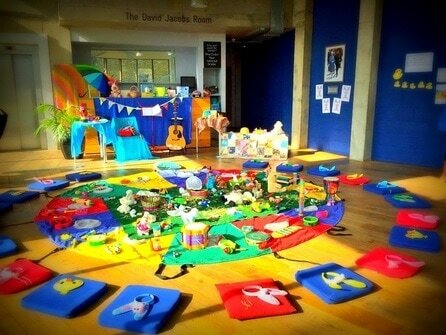 Colourful props set the stage for our themed singalongs and offer toys, instruments and costumes to spark the little ones' imaginations. Use this to help find your way around my website!